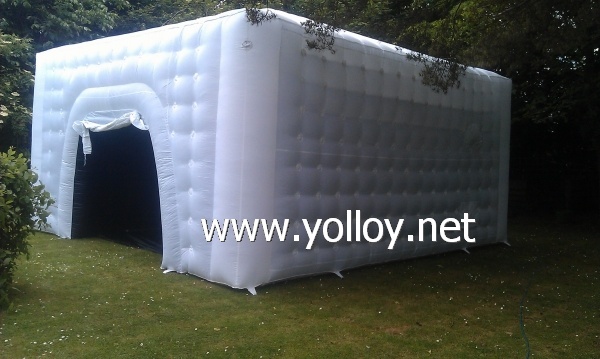 Inflatable cube movie projection tent, it can used as a protable Cinema. The inside layer of tent we used black 7oz PVC tarpaulin, so the it is dark enough for movie projection. Bottom part with groundsheet attached in PVC tarpaulin material, so it can be much easy to clean when it is dirty . Customized can be acceptable.If any question and special requirement，pls feel free to let me know.